Happy Wednesday Everyone! I wanted to let you know the good news coming in September to Amaretto Ranch University. Amaretto Ranch University will begin to teach classes on the Barnyard Birds! 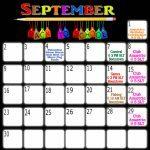 Be sure to watch the September calendar on when the classes begin. There will also be new classes coming for the Horses and K-9s that are exciting so don’t miss out on those either! 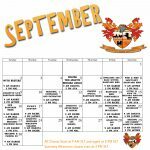 We look forward to see you in class at Amaretto Ranch University!! !